As we reflect on the most recent Social Media Week, one pretty interesting nugget jumped out at us: an event that promised to lift the lid on how social media and collaboration are changing the way we eat and drink. …first, a word about the host. Great British Chefs (GBC) is a new-ish business that champions the best chefs from across the UK. These are chefs who cook in their restaurants on a daily basis and “whose food is distinctive and cooked with love”. Great British Chefs is a collection of recipes and how-to videos, while also helping to connect its community with professional cooks. It’s free to use too, the chefs – along with their respective restaurants – receive good exposure through the initiative. Currently, GBC has around 60 cooks signed up at present, and they’re all active within the social sphere, some even taking the time to answer specific culinary questions on Twitter. Its first iOS app was launched in July 2011, featuring twelve chefs who ply their trade in Britain – all of whom have been awarded Michelin stars – and have been carefully selected to connect food lovers with the world of professional cooking. Users can choose from chef designed menus or pick and choose to create a bespoke menu. In November, it launched its Feastive app, featuring twelve British chefs offering their take on a seasonal meal, which was upgraded to include 21 chefs and 105 recipes in early December 2011. With 60,000 Facebook fans, Great British Chefs is bigger on the social network than Channel 4 Food, Delia Smith, Delicious Magazine and The Great British Bake Off…combined. And while they aren’t all notably active, 60,000 Facebook fans after only eight months in existence is nothing to be sniffed at. Food waste is one of the biggest scandals of the modern age. We’re not talking about brushing an unfinished lasagne into the trashcan; we’re talking about perfectly good food on supermarket shelves and in factories that goes straight into the bin because of minor defects. Back in November, they were involved in a rather interesting initiative called feeding the 5,000, a repeat of an event that first took place in 2009. More than 5,000 bellies were filled in less than two hours in Trafalgar Square, with people feasting on curry made entirely out of fresh-but-misshapen vegetables that would have gone to waste. Mayor of London Boris Johnson served up the first portions to Londoners who discovered that funny-looking vegetables taste just as good as their aesthetically-pleasing counterparts. Tom, Eloise & Co. also worked on Thames Festival’s Feast on The Bridge, a ‘pop up’ restaurant in London that would see them salvage unwanted ingredients and treat visitors to a celebration of flavour. Eloise sources the ingredients, whilst Tom focuses on the cooking. But when they’re not out spreading the good word about food-waste, and putting on massive culinary events, how do they actually harness the power of social media to drive their ideas through to fruition? Tom has also been working on his blog, to gather a community around what they’re doing and illustrate these issues that they’re trying to represent through their cooking. “We’ve been a victim of our own success in some ways too, for example with our first event, feast on the bridge, on Southwark Bridge,” he says. They sold about a quarter of them before the event, and said that people had to be there by no later than noon on the day. At ten-to-twelve, there was a huge queue of more than 200 people. “So it was a lesson in social media – it does actually work,” she says. Indeed, attracting 5,000 to Trafalgar Square for a massive feast is no small feat. For Social Media Week, which also coincided with Valentine’s Day, they set up a charitable pop-up restaurant where for £40 diners could expect a 3-course menu of delicious, but unwanted, foods that might otherwise have ended up on a landfill site. Butchers, bakers and candlestick-makers: If you like the idea of giving Tesco, Asda, Sainsbury’s and other supermarket chains a wide-berth, but have never quite gotten ’round to it due to the sheer convenience of getting all your groceries in one fell swoop, this startup could be for you. Hubbub is a UK-focused food delivery service catering solely for local, independent shops. Okay, you might not be able to source candlesticks, but you will be able to source the best quality food from your local shops online and have them delivered, as if by magic, direct to your door. It’s a great idea in itself, but how exactly does social media come into play? Surely it doesn’t sell steaks via Twitter? Well, hold on just a minute, maybe it does. Currently, they deliver across north and east London, and are in the process of expanding to include the whole city, with nationwide coverage next on the horizon. But can Hubbub really help the small grocers of the world unite against the soulless might of Tesco? There’s a lot to be said for ‘safety in numbers’. “Many independent retailers, particularly those that have been around for generations, just don’t have the expertise or resources to adapt to modern demands in a scalable, profitable and efficient way,” adds Nicola. Hubbub is a collaborative platform that gives small retailers access to the online markets, and gives consumers wider access to their local butcher, fishmonger, greengrocer and baker. In a single delivery area, consumers can order from up to 12 shops and specify a single one-hour delivery slot. Businesses used to spend thousands on print advertising, and now new products can be added and advertised instantly and for free. Danny Kingston, AKA FoodUrchin, is a keen cook and an all-round lover of food. MSN ranked him as one of the twenty most influential foodies to follow on Twitter, and his blog has led to him being invited to cook alongside some well-known chefs. He now hosts his own supper clubs, which was what he focused most of his attention on that evening. If you’re like me and are more familiar with the concept of a restaurant than a supper club, a little explanation could be in order here. Supper clubs, in the UK at least, often follow a cabaret-style approach, similar to something you may have seen in America in the 1930s. They are places where people enjoy dinner without the formality of a ball, and there’s often live music thrown in for good measure. But why do a supper club? So, Danny sat down with his wife and they decided to go for it themselves and set up their own supper club, meaning that they were both the caterers and hosts. It’s worth noting that it’s not just about throwing a pot of chilli on the stove and dishing out paper plates – attention to detail counts. People expect quality, and you have to worry about removing furniture from the house to create room. Then there’s the issue of bringing strangers into the house – how comfortable would you be letting people you’ve never met into your humble abode? It’s a calculated risk though, as the supper clubs cost to attend, and they’re targeted at foodies in the social sphere. Also, if he has people dropping out of the supper club at the last minute, he can head straight on to Twitter and frantically offer the remaining spaces to his followers. He’s also making minor strides onto other social platforms too. “I have my own FoodUrchin supper club Facebook Page,” says Danny. “This is my own little community, friends and people who have been to a supper club before. 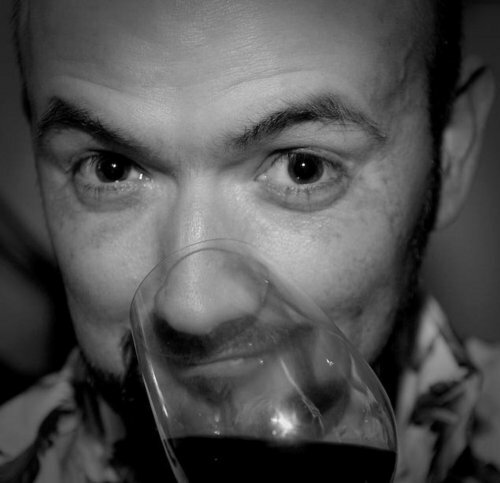 Greg Banbury is the co-founder of Naked Wines, a crowdfunded wine club of sorts. The company buys wine from independent winemakers, with so-called ‘wine angels’ (a.k.a. you and I) paying £20 each month towards the next order. That’s it in a nutshell, at least. An interesting analogy for sure, and if you haven’t heard of Naked Wines before, the company has some impressive numbers to share in its three short years in existence so far. Greg also pinpointed Unbound as another similar ‘social’ business, where instead of writers publishing their work first, the platform lets potential readers listen to their ideas for what they’d like authors to write before they even start. If you like their idea, you can pledge to fund it. If a predefined target number of supporters is reached, the author proceeds and starts writing. There’s no production or publishing costs for the author. There are other companies that adopt this model too, and hints at the direction the business world could be going. Just ask Kickstarter. It’s a good card to play for sure – the knight-in-shining-armor (Naked Wines) coming along to save an industry from the claws of evil corporations bleeding small wineries dry. I’m not convinced it’s really that black-and-white, but we’ll save that analysis for another time. For now, we’ll just focus on the theme of collaboration through social media. Some of the winemakers work exclusively for Naked Wines, which pays them a salary. Others receive payments for such things as bottling their wines, whilst others are just guaranteed a big order. “These are talented and passionate winemakers who don’t have the marketing or sales skills, or the budget, to break into the industry,” adds Greg. Just look at Carmen Stevens (pictured above), the first black South African woman to graduate in wine-making. “Now she works for a super-premium, top drawer, American-owned, no expense spared, mega-award-winning winery,” says Greg. And with Angel funding (£120K invested in just 8 hours! ), Carmen now makes two wines under her own name, and another one that sells for £6.50 to Naked Wine’s angels. “We wouldn’t have been able to to do it without the funding,” says Greg. Robert McIntosh has more than 11,000 Twitter followers, and it seems his online entourage is at least partly explained by his extensive experience working in a market that has been reliant on expert intermediaries for ever. And Robert has some ideas about what the experts should be doing to open wine up to the masses. Okay, okay. Yes, plenty of people – myself included – enjoy an occasional snifter of, oh I don’t know, vin rouge, without feeling a compulsion to involve friends. But I’d say that Robert’s underlying point holds firm – drinking is typically viewed as a social activity. Indeed, one of the main differences between food and wine, is that the former we can make together. It’s participatory – you can download recipe apps, view videos online and collaborate with friends in the making of a fine meal. With wine, well, typically that won’t happen. The sharing of the experience happens only with the tasting side of things. The platform leverages the likes of Twitter, Facebook, Posterous and other social services to create a community that brings consumers, suppliers, bloggers, the media, brewers and winemakers across the world together to share in their favorite tipple. There are other little trends going on across social that you probably won’t be aware of. Heard of Chardonnay Day? Me neither. May 2011 saw the second annual Chardonnay Day, which to celebrate required you to get some Chardonnay in your glass and share your photos, tasting notes, experiences or videos on any social media site, appended with the #Chardonnay hashtag. The idea is that you can look at what other wine-lovers are sharing by searching posts using the likes of TweetDeck, Google, twitterfall.com or kurrently.com. This is a global event set to run over 24-hours to give everyone, irrespective of their timezone, time to share a glass. Heck, there’s even a Cabernet Day, and a whole host of other alcohol-themed days such as Port Day. Robert hit upon another key point. Whilst millions of us share opinions across the Web on a host of topics – from music and books, to food and football, very few of us would seriously consider posting a comment about wine. And it’s not because wine is a minority consumer product – far from it. Most restaurant reviews you read will wax lyrical (or not…) about the food, but will barely give the wine a mention. Why is that? Well, Robert argues, it’s because we don’t feel ‘expert’ enough on the subject. I’ve thought long and hard about this point, and I do agree that wine and food are treated differently – not just online but everywhere. However, I’d argue that most people don’t have the taste-range in wine to justify more than a few words about it. I know a good and a bad wine when I taste it, but I don’t think I could really tell the difference between a £20 bottle of wine and a £200 bottle. I’d say the whole meal experience naturally lends itself more to comment, whereas with wine, for most people, it really is just ‘good’ or ‘bad’. It’s similar to chocolate – many people love chocolate, and there’s plenty of different kinds of the sweet stuff, but conversations around it are given short shrift. Of course, that doesn’t mean the wine world shouldn’t be opened up to whoever is interested, it’s just that trying to manufacture a more involved discussion on wine could be futile. That said, we’re seeing a number of wine apps hit the market in recent times, such as WineDemon which we covered in some depth back in December. And The Next Web’s very own wine connoisseur Courtney Boyd Myers pulled together a pretty comprehensive guide to buying wine online, which is well worth a read if you’re looking to broaden your wine-buying horizons. If we learned anything from this discussion though, it’s that the Internet, social media and collaboration are helping to inspire a whole new world of change around how we enjoy food and drink. It still early days though, and there’s a whole lot of room left for innovation still.